HVAC Installation Company Pittsburgh | Schultheis Bros.
Schultheis Brothers Company, Inc. is a full service heating and cooling service company providing quality, consistent service all year. If you need a reliable HVAC installation company in Pittsburgh and the surrounding community, Schultheis Bros. has the experience and attitude to get the job done right, on time, and on budget. 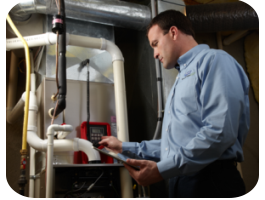 The HVAC service industry has changed throughout the years, but one thing that hasn’t changed is Schultheis Brothers’ commitment to providing quality residential and commercial heating and cooling installation and maintenance services. Always get the highest quality product and services at the best prices. Call 412-793-1103 today if you need a reliable experienced commercial and residential HVAC installation company in Pittsburgh and the surrounding areas. You can also fill out the contact form on this page with any questions or comments and a knowledgeable associate will respond to your inquiry shortly. Nothing is more important to the industry experts at Schultheis Bros. than the comfort and quality of air in your residential or commercial property. An impressive team of experienced technicians use only the latest techniques and processes for all HVAC installation services in the Pittsburgh area, and will work with you to help select the perfect system for your needs. Call 412-793-1103 today to talk with a Schultheis Brothers Company consultant about how we can expertly handle your heating and cooling services in Pittsburgh and the surrounding communities. Or simply fill out the contact form on this page and we will respond shortly.